Air Lift 1000 Drag Bag Air Springs are engineered as add-on helper springs for coil spring suspensions that are ideal for drag racers that want a quick and easy way to tune their rear suspension. A typical drag race suspension needs extra weight added to the right rear tire, and a street car doesn't want the extra weight on the right rear for handling purposes. These springs feature an easy do-it-yourself installation using simple hand tools, and they can be used for load assist or to preload your suspension for drag racing. 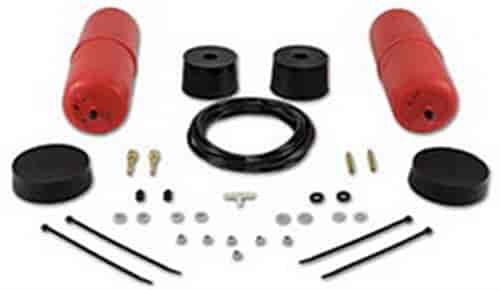 Each kit is complete with air springs, air lines, fittings, mounting hardware, and a detailed installation manual. Lifetime air spring warranty. Does Air Lift 60713 fit your vehicle?